You and your doctor learn a great deal about your health by testing your blood. Blood tests show whether the levels of different components in your blood fall within a normal range. Many medical problems can’t be diagnosed with a blood test alone; however the results can help you and your doctor learn more about your health. Blood tests also can help find potential problems early. Laboratory Tests support the findings of a physical exam and enable your doctor to make a more accurate diagnosis. For your convenience, Orange Coast Women’s Medical Group offers in-house phlebotomy draw stations in Laguna Hills, Talega and Irvine connected to a full-service clinical laboratory. Meets the highest standards in the Clinical Laboratory industry and continually strives to improve services to meet its patient’s needs. As an Immediate Response Laboratory, we provide STAT (immediate test) per physicians request and results on our electronic web portal. 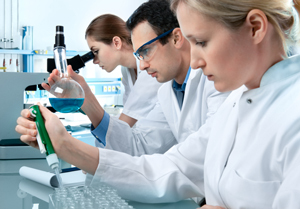 Provides testing in the following specialties: Hematology, Chemistry, Reproductive Endocrinology, Mycology, Bacteriology and General Immunology. Results of lab tests are usually available within 24 hours. All test results are reported to the requesting physician. Contact our office if you have any questions about your tests. For your convenience, your results are accessible on your patient portal. Please note that the hours below are BLOOD DRAW HOURS, not hours of operation for the respective offices or locations. Blood draw services are often not available for the entire time an office or location is open.